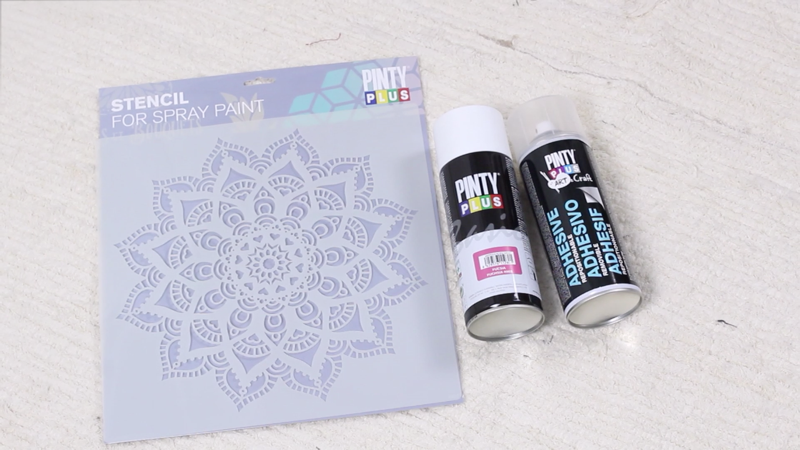 To fix the stencil better on the rug the easiest thing is to use Pinty Plus temporary adhesive. 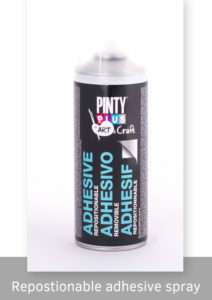 The beauty of this product is that it allows you to fix things but also to easily peel them away afterwards, a bit like a Post It note! 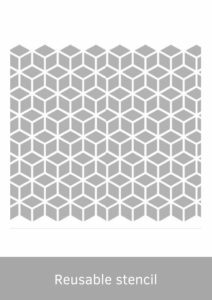 Work out where you want to position the first motif. 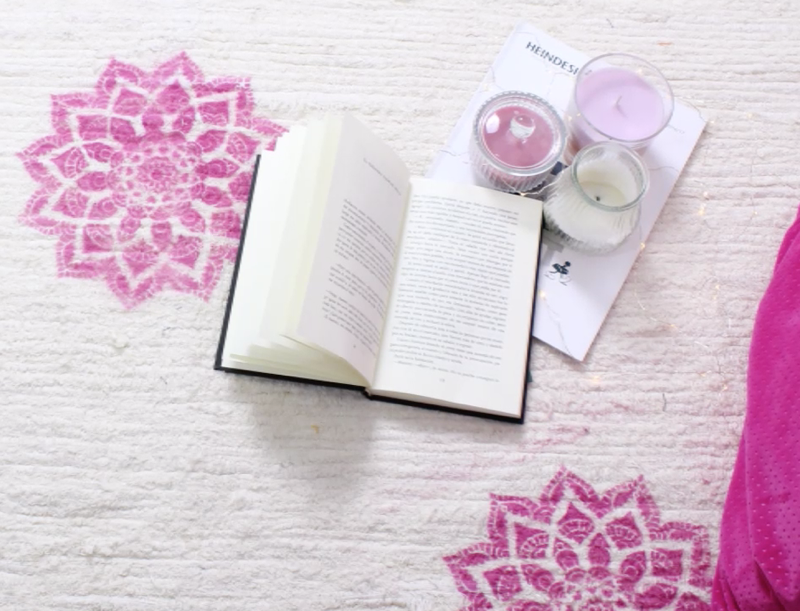 In this case we wanted to paint a series of pink mandalas randomly placed across the rug. Wherever we want to paint it, we fix the stencil, which has previously been sprayed with adhesive. Then we mark the edges of the stencil with masking tape or newspapers and cover the rug so it does not get marked by overspray. We take our aerosol and spray. 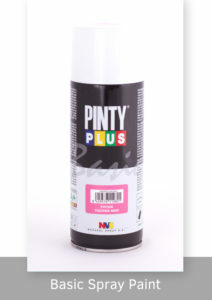 Remember that if you are using Evolution, Basic or Chalk it is advised to spray about 30 centimetres from the surface spraying in light layers and keeping the can moving across the surface. 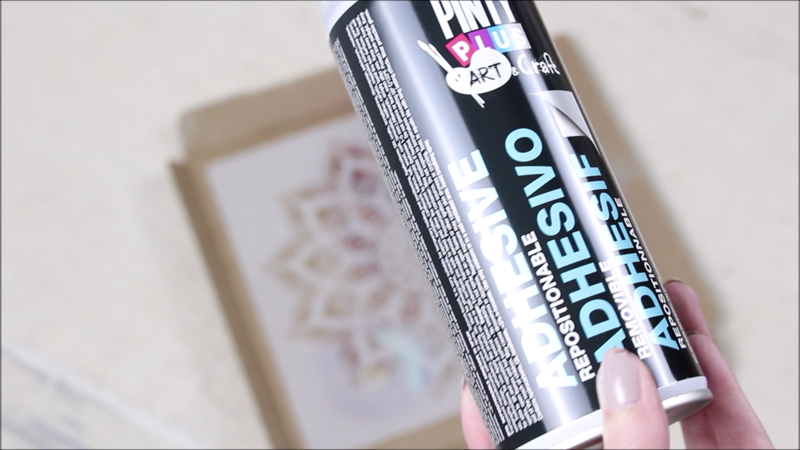 If you painted with aQua 2017 you should do it at a distance of about 10 centimetres. You should not wait long to remove the stencil. 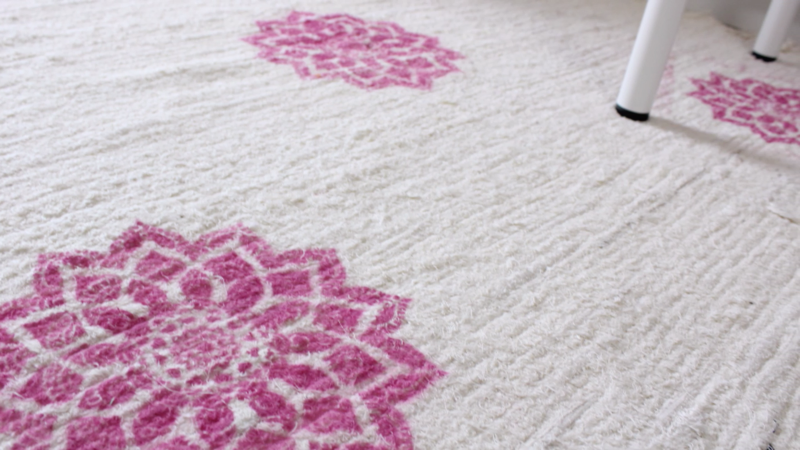 You can respray it with a small amount of adhesive and repaint in another corner of the carpet. 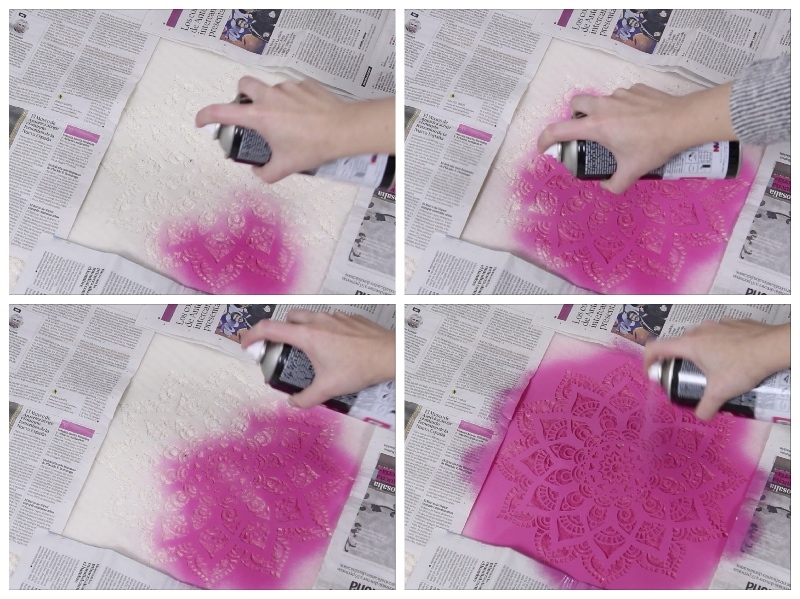 It is very easy to clean the stencil to be able to use it as many times as you wish. 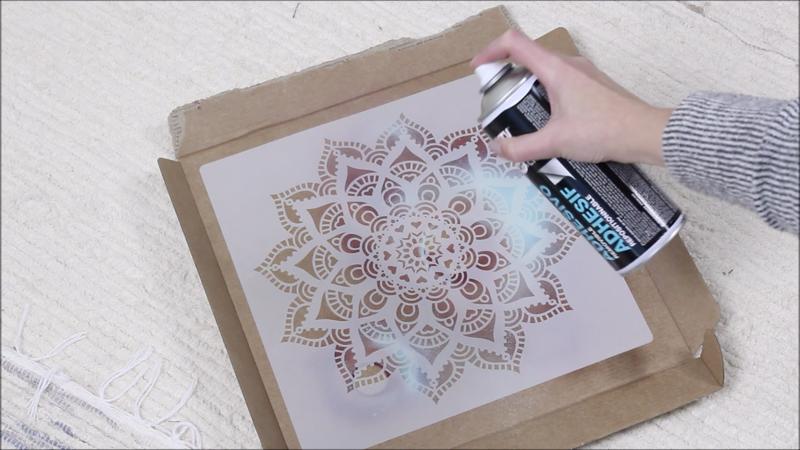 When we have painted with solvent-based paints, we will clean the stencil with acetone and a brush. When we have done it with water based paints we will clean with water and a brush or a chamois. 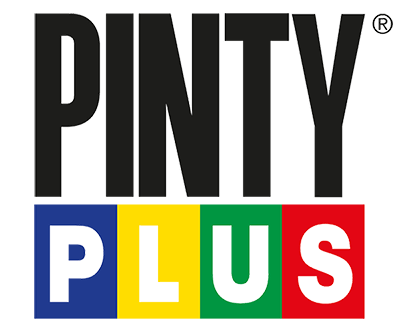 If this tutorial inspires you, you can share your projects on Instagram tagging us or using the #pintypluser hastag.